The commercial perfume industry is one that is full of empty marketing. Since the 1980s, perfume became very much about a face and a bottle—and that’s it. The scent itself unfortunately became something very inexpensive and of no value,” laments Anne‑Lise Cremona, CEO of Parfums Henry Jacques. Cremona is extremely passionate about perfume. No surprise there—as the daughter of founder Henry Jacques Cremona, her childhood was spent surrounded by divine fragrances and scents of every kind. The house has been creating bespoke fragrances for some of the most eminent individuals in the world, royals included, since its founding in 1975. Despite this heritage, taking over the family business was never on the cards for Cremona until about nine years ago, when she left her job in the commercial beauty industry to ensure that the house’s decades-long fight to preserve traditional luxury perfumery would not be futile. The best illustration of this is the brand’s insistence on preserving the traditional maceration process, whereby the completed fragrance formula is left to sit for a minimum of two months for the entire fragrance to properly mature and come together before the liquid is filtered and the ingredient particles are removed. It is a belief that runs in the family. Cremona’s mother, Yvette, was a strict taskmaster in the perfume laboratory. “She used to come in and say, ‘Are you sure that you did that correctly? Remember, you have to do it very precisely, and take your time if you have to, or the results won’t be good.’” Henry Jacques’ bespoke perfume creation process cannot be rushed, but trust us, it is worth the wait. All these efforts go into making the perfume the star of the show. “I knew when I came back to Henry Jacques that I did not want to have a face of the brand—the fragrance should be the face. Otherwise, what are we really selling?” The only names that go into representing Henry Jacques these days are the likes of Ms Kavianca, Mr H and Mrs Y. Ms Kavianca is the nickname of a particularly loyal customer who loves the Kavianca perfume from the Les Classiques collection so much that she bought them in multiples, to send to all of her close friends. It is through word of mouth like this that Henry Jacques truly gets traction. As for Mr H and Mrs Y, they are the debuting couple in Henry Jacques’ new Les Toupies collection. Like Les Classiques, the fragrances in the collection have been in the house’s archives for years—only these are a little more special. Each Les Toupies fragrance represents a personality, captured in a scent that was once concocted specially for real individuals. Mr H, with notes of cedar leaf, geranium, sandalwood, tobacco, amber and patchouli, is a quintessential masculine perfume, while Mrs Y is the classic chic feminine fragrance composed with notes of ylang-ylang, rose damascene, jasmine, iris, wild lilies and tonka bean. Both fragrances are ideal representations of classical French perfumery—elegant, effortless and timeless. 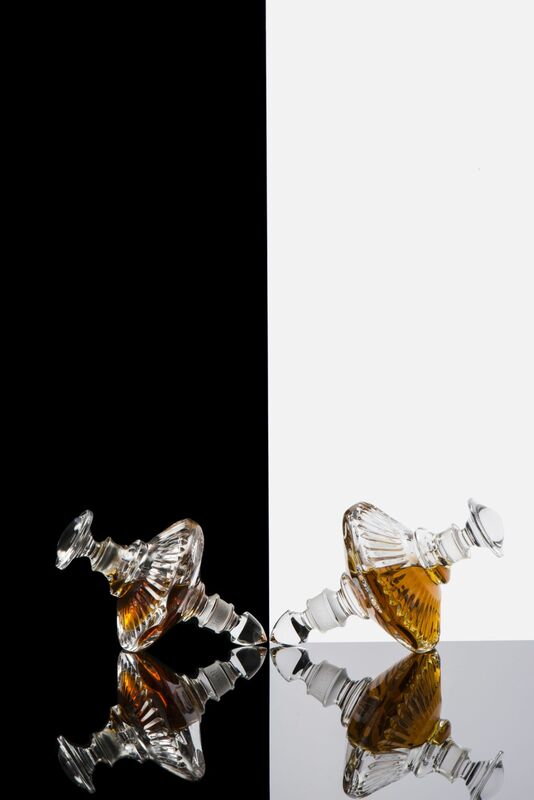 The perfumes are each housed in a crystal bottle that resembles a spinning top (or toupie in French), which took some four years to create. Its shape is intended to draw a metaphor between the rapidly changing times and the importance of preserving a single point of contact—with the table, or with one’s heritage. As for whom the fragrances were initially created for, well, we hear that they have been with the house since the very beginning. Take a wild guess.